We’ve had so many disasters when baking bread. Is it just us or has your dough literally NEVER doubled in size? Sorry, but on more than one occasion we’ve let it prove for over two hours and it still hadn’t doubled. We rarely have kept to the 10-15 minutes of kneading rule that’s come to be the norm. We get tired and/or sore and/or/definitely bored. Don’t even get us started on sourdough; we tried to make a starter from scratch once and killed it within a week by putting it in direct sunlight thinking it would help. D’oh! 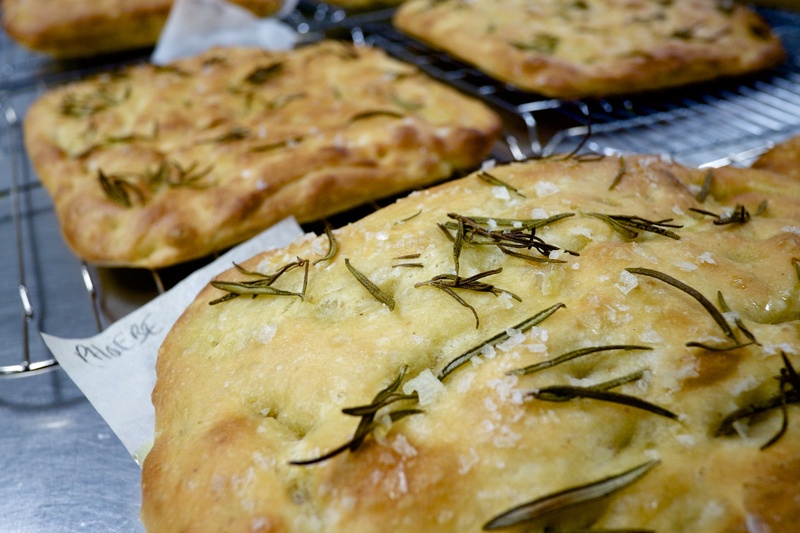 Once, a dough came out of the oven even more raw than it went in – how is that even scientifically possible?! We’ve improved since then, but that’s just a glimpse into our bakin’ frustration. Naturally, any chance we get to jump-start our baking skills, we’re gonna take it! 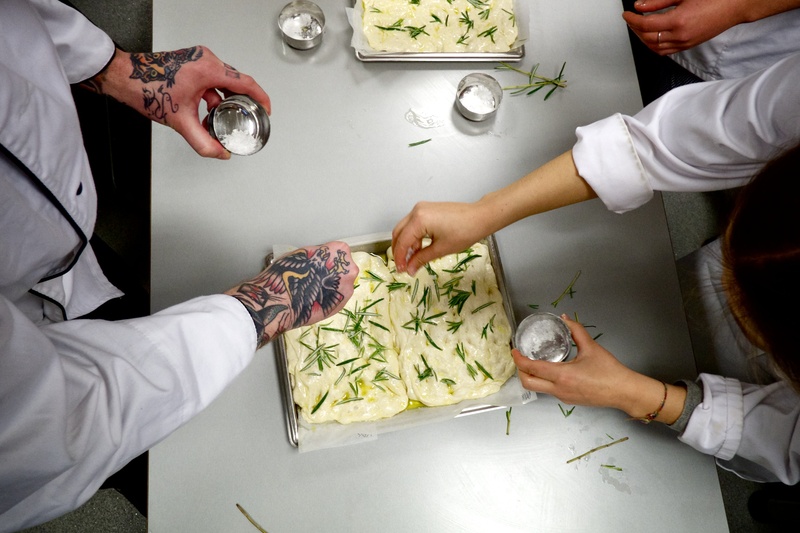 We recently got the opportunity to learn how to bake from Mr. Great Australian Bake Off himself, renowned cookery writer Dan Lepard at London’s Cookery School at Little Portland Street*. 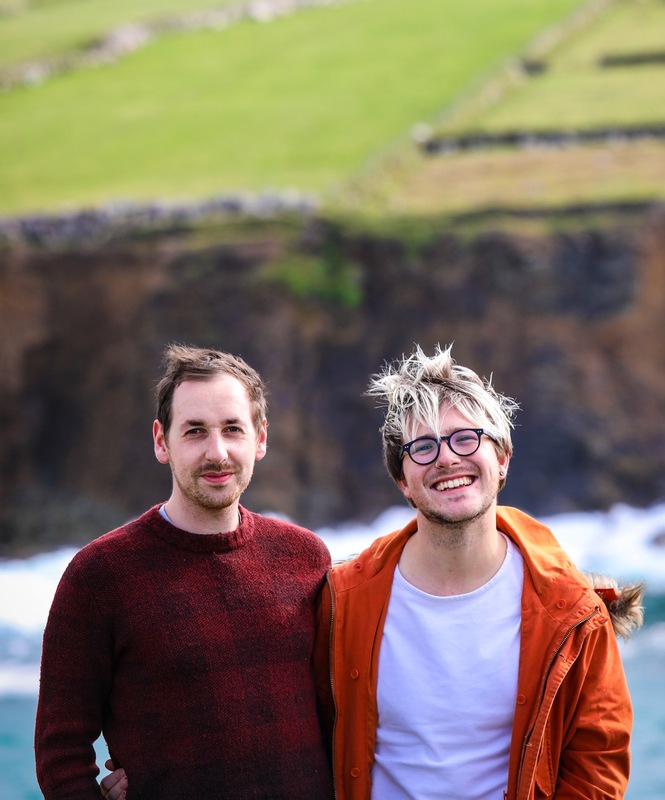 Famed for his modern day baking bible Short & Sweet, Dan demystified the skills of sourdough and we were so thrilled to finally meet him (after fawning over his recipes, following his series of Bake Off and constantly exchanging tweets over the past few years). Excuse the slight sycophancy: back to bread. It’s one of those basic skills of cookery that is so, so simple in theory but practice is a whole ‘nother ball game. 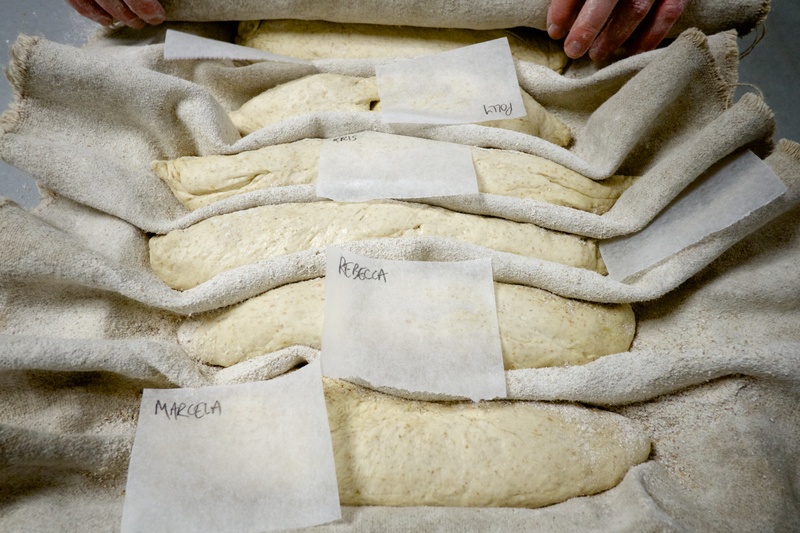 Not sure about you all, but we’re always left cursing the method, scraping stringy, gloopy flour mix off our fingers and suffering through a not-quite-perfect loaf because we can’t face throwing it away and wasting it (oh, yeah, and admitting defeat, too). You might remember we learned how to bake with another very famous celebrity baker who also happens to have acted as a judge on a Bake Off incarnation. Memory need a little refreshing? 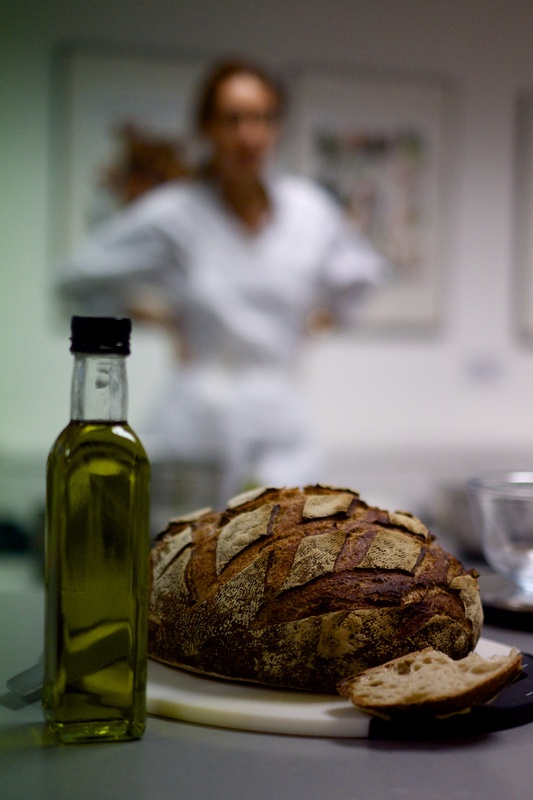 We arrived bright and early at around 9am for the day-long masterclass, promising to make bakers out of us once and for all and offering advice and hands-on experience of sourdough specifically. As we mentioned before, we’ve dabbled but with very limited success. Dan (and partner David who helps run Dan’s courses with military precision, welcoming authority and hilarious asides from the prep kitchen) first introduced himself to each and every one who had arrived. A small group had booked on to the course, they try to keep it under 14 people so you can get a one-to-one experience throughout as much of the day as possible. First, over small talk, we all tucked into a fresh breakfast of warm cheese and herb scones (literally right out of the oven) and fresh summer fruits with yoghurt and homemade granola with as much tea and coffee as we wanted. Naturally, we dove in to everything and it was a sensational start. Then, given our aprons, we marched over to our benches and assumed the baking position. 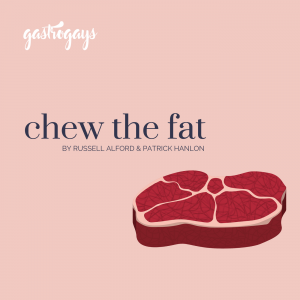 In front of us was placed a selection of utensils and ingredients and a small hand-out filled with all the necessary information that we would need, including recipes, advice and tips. 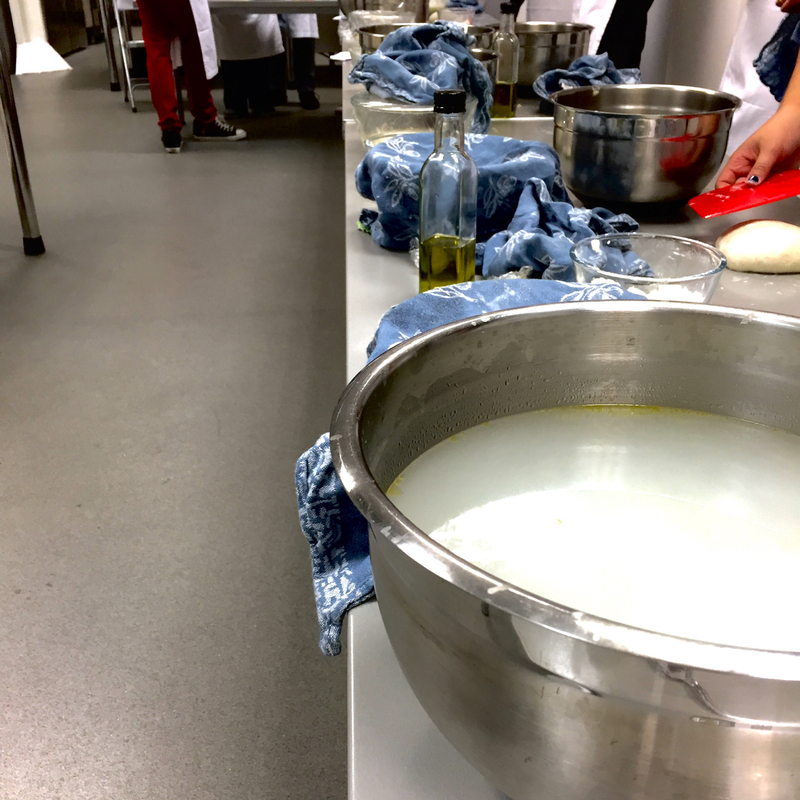 Throughout the day we tackled three different recipes – sourdough baguettes, rosemary and coarse sea salt focaccia and ginger chocolate cupcakes. 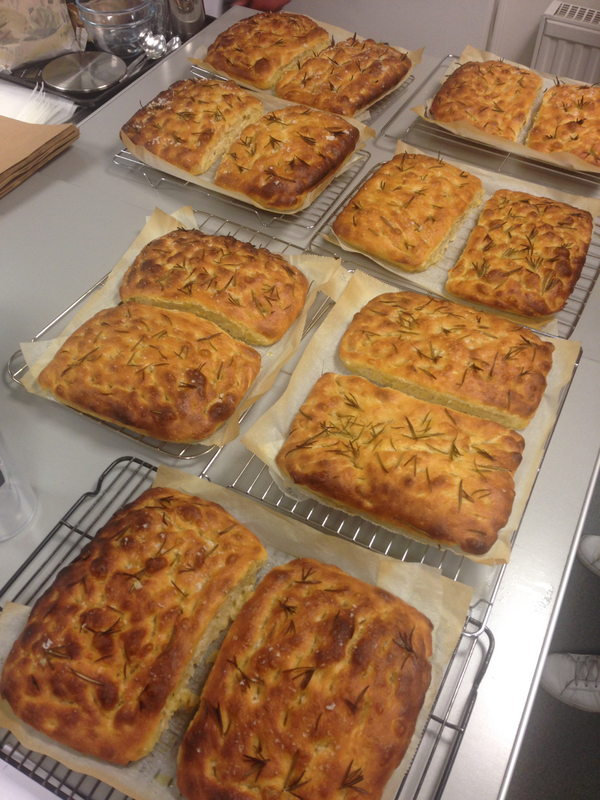 Each one was using sourdough in a different way, either as a main ingredient or as a flavour. 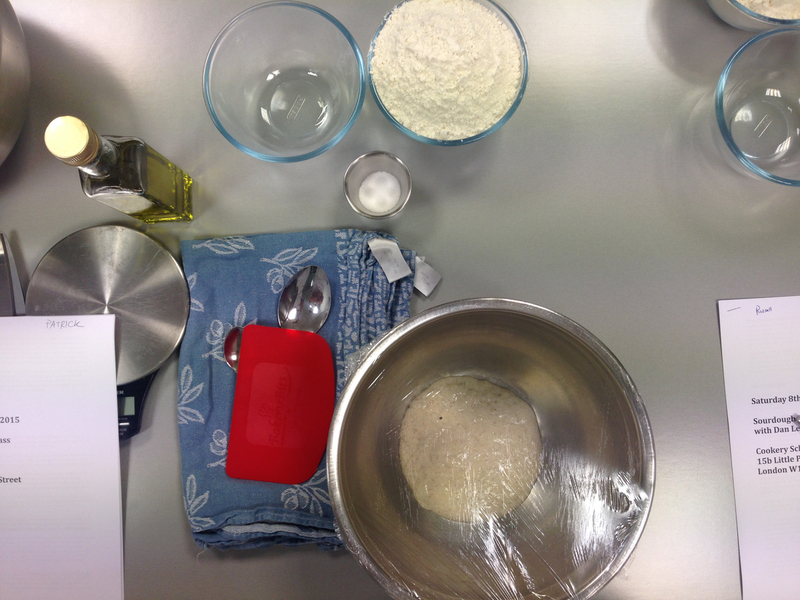 Great tip no.1 – Remember our dilemma above about dough never doubling in size? 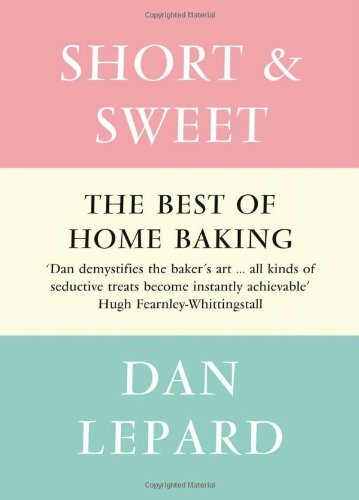 Dan disclosed that he’s actually reneged on that idea and that it’s often the biggest cause of failure as bakers – like we have in the past – over prove dough in order to reach the nonsensical Neverland that is ‘doubled in size’. Creeping into more recent recipes we’ve come across ‘allow to prove for X about of time or until doubled in size – whichever happens first’, which is closer to the actual holy grail, really. What Dan is now saying is ‘risen by half’, so a dough that has added half it’s size on again. It will definitely avoid a lot of baking disasters, he advises! Great tip no.2 – baking is more low impact than you think and the 10-15 minutes spent kneading is actually more about the time given to the dough rather than the action that you’re doing. So all that time you’ve spent reading about pounding a dough against the counter to ‘develop’ the gluten and ‘showing it who is boss’, it’s a myth really, in Dan’s opinion. The real transformation is happening inside in the central workings of the mixture as the gluten bonds form and wrap around each other. 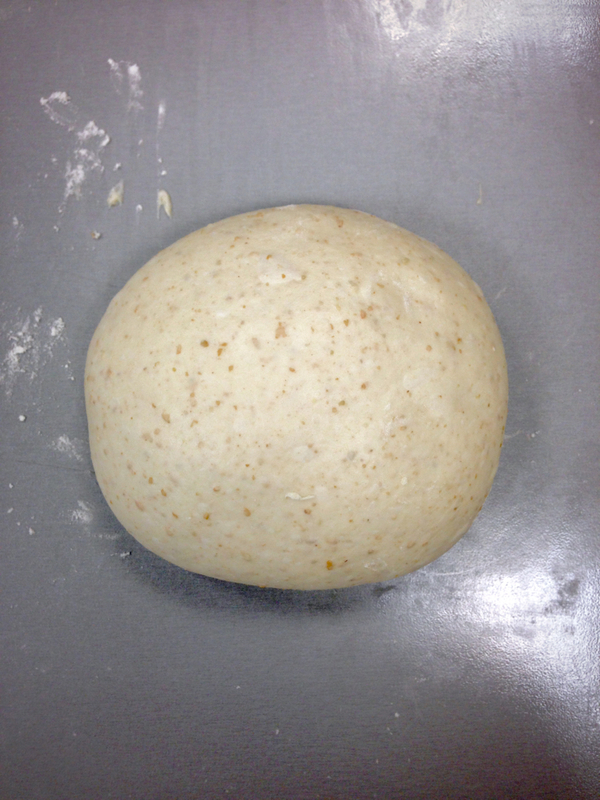 We barely touched our doughs all day but with the knowledge of what’s occuring and when, they came out perfect. 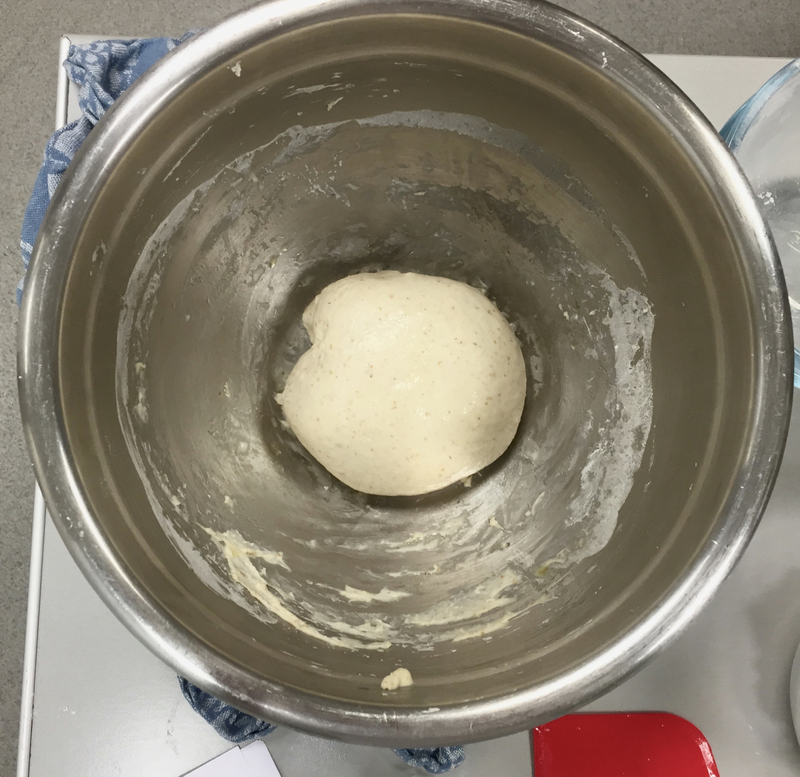 Great tip no.3 – you can check your dough has been proved properly by cutting with a sharp serrated knife, revealing (hopefully) a network of holes and gluten strands, after this point it’s good to shape. Great tip no.4 – the thick linen couche cloth you see in the pictures is cheapest and most easily available from a good art supply shop, not a fabric shop nor a baking supply shop – both places charge a premium, it seems! 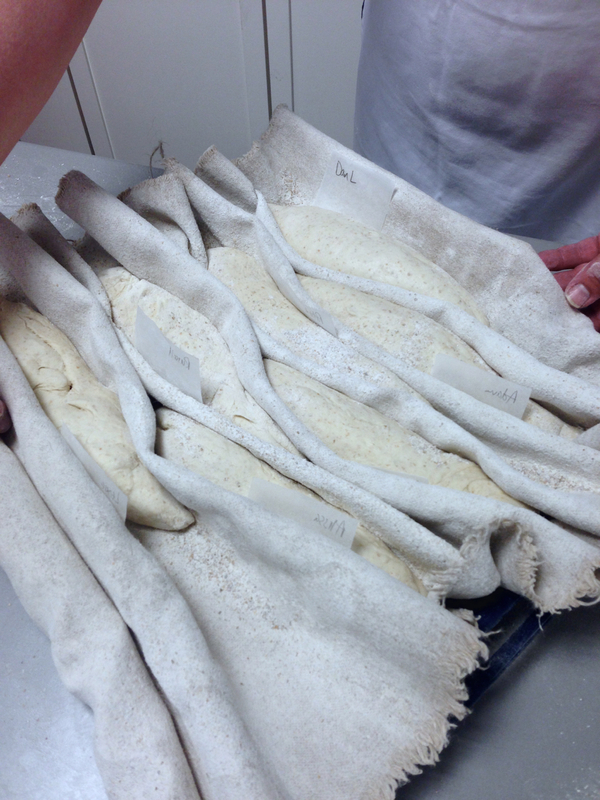 These are indispensable for baguette baking as they support the batard (small baguette shape) in the final prove. Mid-way through we sat down to a lunch of epic proportions. First, it has to be said, the Cookery School at Little Portland Street team did a stellar job preparing all the food and turning around the space so quickly from baking class to banquet-style lunch service in a matter of moments. 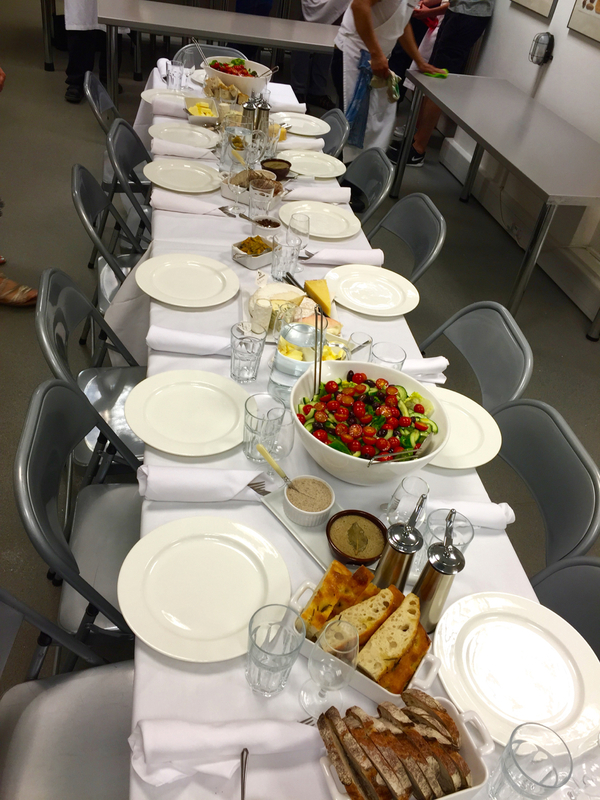 The food included freshly-prepared salad, La Fromagerie cheeses, paté and Dan’s pre-prepared loaves sliced up for us to taste. Topped off with a glass of wine it was a fantastic little wind-down and helped us all interact as a group and get to know each other. Again, Dan never stopped talking, mingling with different people and moving around the table showing a genuine interest in every student no matter what their level of baking skill. 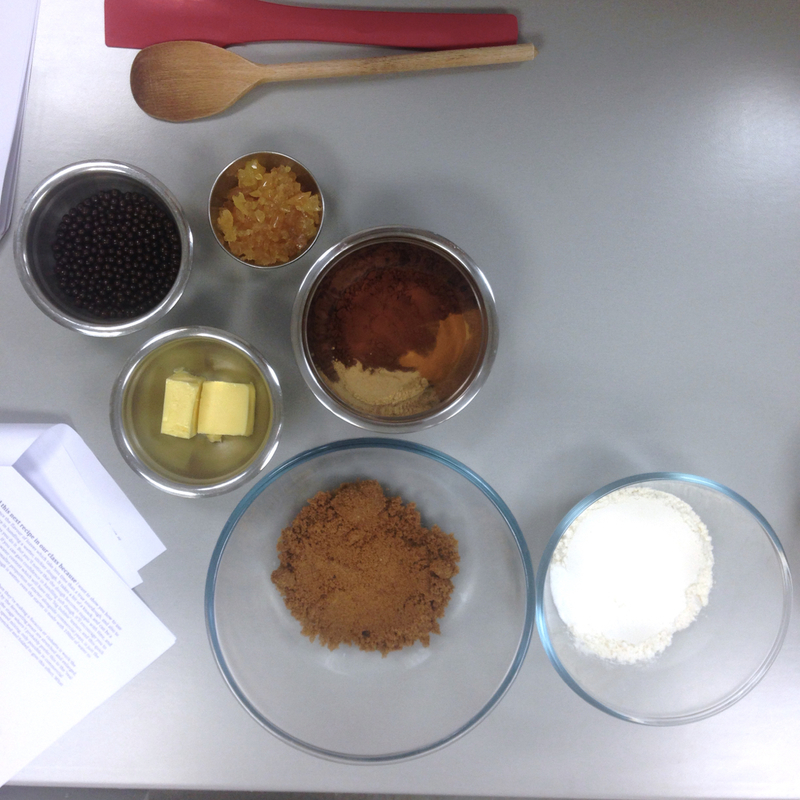 We then tackled sourdough ginger and chocolate cupcakes which we made in what felt like two minutes flat. You may think it strange but the sourdough, again, was more of a flavour than anything else as eggs and baking powder were included in the recipe to give it rise and lightness and the gentle tang of sour in the background was fantastic. We left later that afternoon with our sourdough loaves, focaccia and cupcakes alongside a goody bag filled with baking accoutrements and our very own leaven to begin using. When baking, everything you create is tagged with a parchment name tag so you can be assured you’re taking home what you baked, though Patrick’s box of cupcakes were sneakily pinched by someone at the very end so he never got to try what he made, but we still had Russell’s ones. Cheeky baker whom ever took two sets of cupcakes – the karma fairy is planning a baking disaster in your near future, don’t worry! In all seriousness, the most important thing you leave with is the know-how. Dan’s teaching is so effortless and like a second nature to him. His passion and knowledge floods the room and no question is out of the realm; he often trailed off happily for minutes at a time recounting stories, anecdotes and disasters in his own baking experience, making the entire course that bit more personable and special. 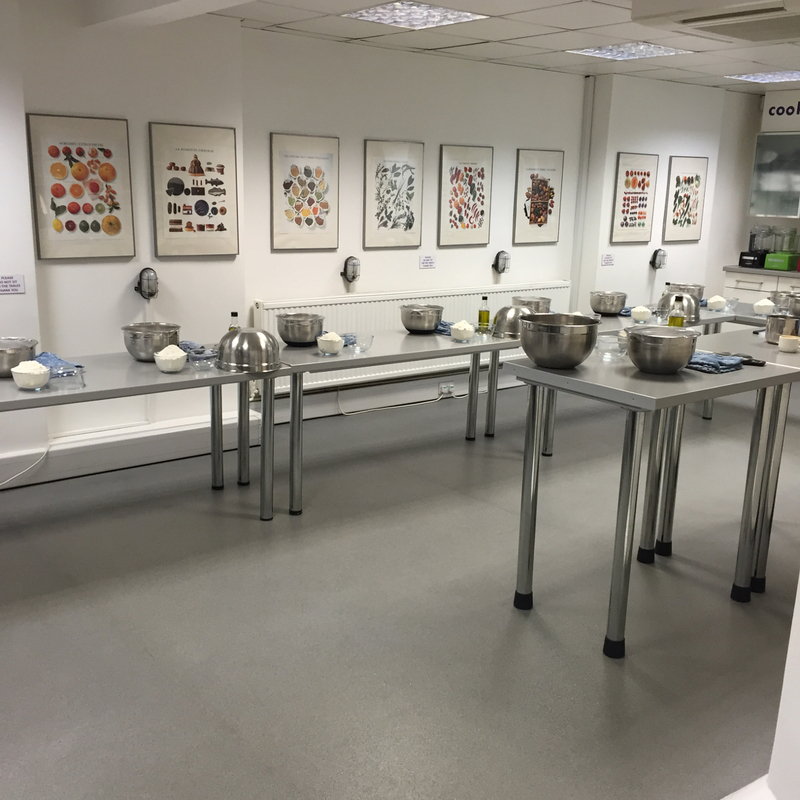 Click on the picture below to check out some of Cookery School at Little Portland Street’s upcoming courses. Since we took the course on a Saturday, we naturally had to incorporate our bakes into our standard #SundayBrunch posts on Instagram. Every week we post at the same time what we’re making and eating and the day after we celebrated sourdough by having eggs and sourdough soldiers with a little avocado and tomato salad on the side. Deeelish! 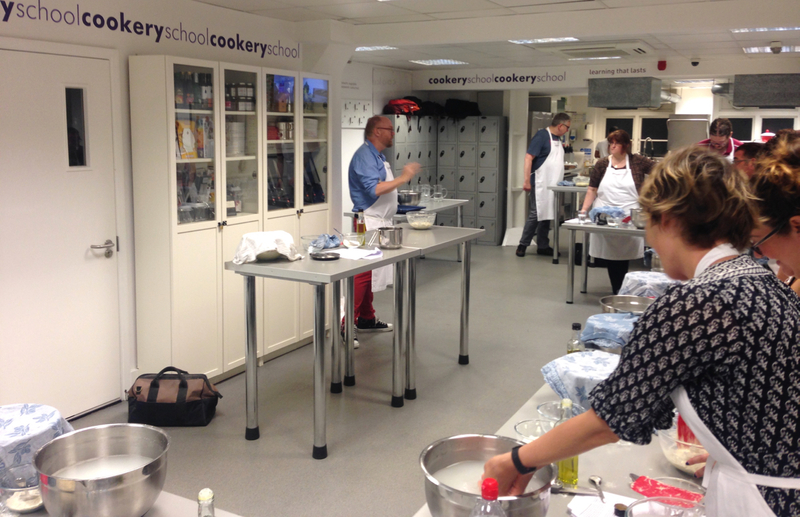 *Disclaimer: We were invited by Cookery School at Little Portland Street to participate in the cookery course and asked to write a post about our experience. As ever, when we have particular opinions, you can be sure you’ll hear them and we never agree to a tone/opinion or review outcome stipulated by the provider when organising it. We have two brains and two big mouths – we use them. 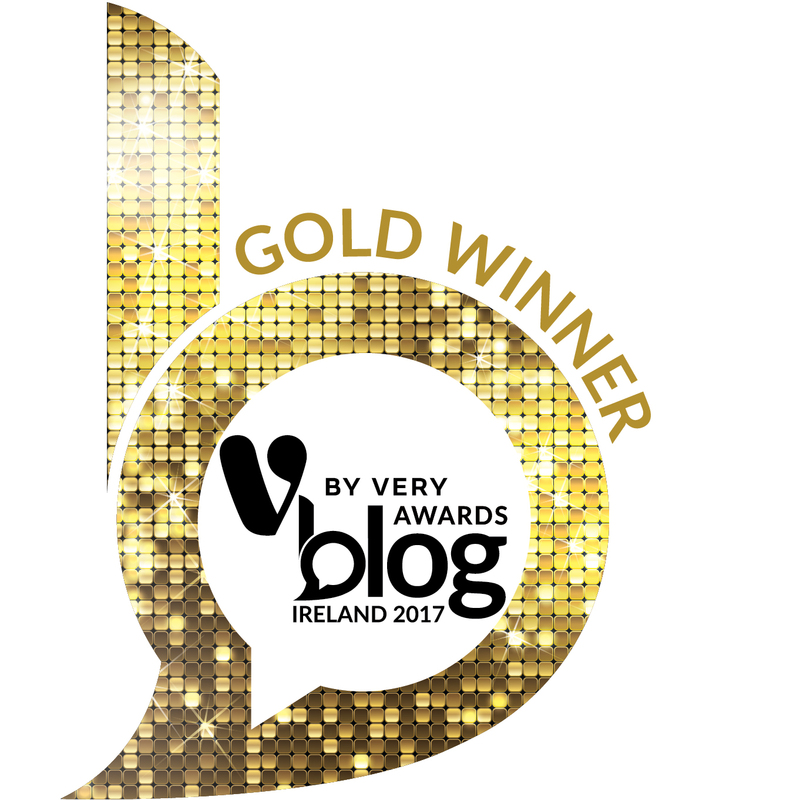 Read more about Ireland’s Best Blog!